Mandela Day is an international event held on Nelson Mandela’s birthday on the 18th July. For the past 5 years, millions have volunteered 67 minutes of their time for the common good. Shamwari Game Reserve, in conjunction with the Shamwari Conservation Experience, went to spend the morning in the local community of Paterson, doing a variety of different things in support of Mandela Day. Our aim was to encourage a community clean up – we handed out garbage bags and encouraged the community children to fill their bags with rubbish and upon return they received a packet of chips, sweets and a slice of cake which was baked by one of Shamwari’s Senior Chefs – Inge Woeke. This initiative was extremely successful, with over 100 bags of rubbish collected and fun had by all. 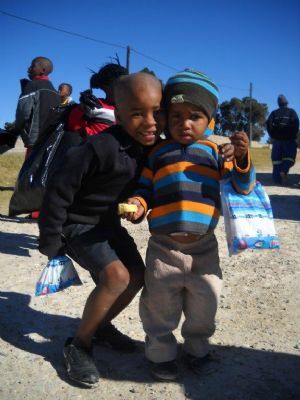 In conjunction with this clean up, Shamwari also donated meat and cake to a soup kitchen for the elderly in Paterson. 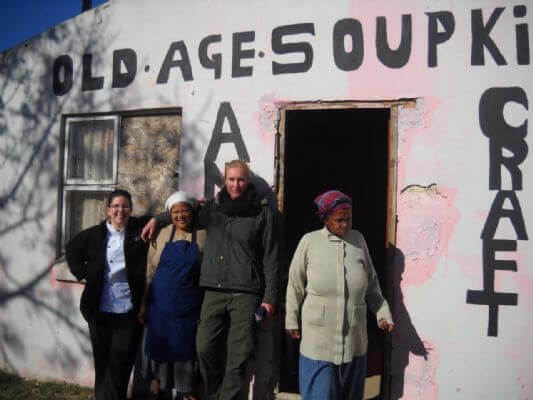 The soup kitchen is run by the community and relies on donations in order to provide meals for the aged. 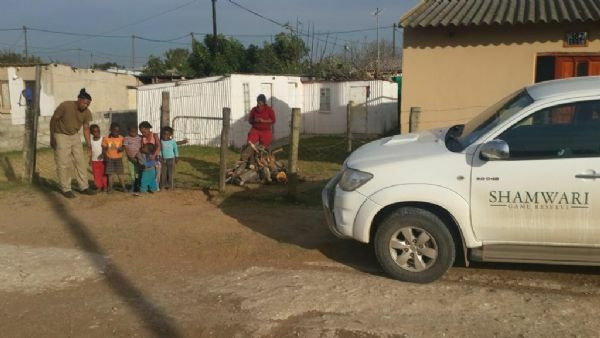 Gunther Strauss – Shamwari Game Reserve’s General Manager also went to visit a retired staff member who was long in service at Shamwari Game Reserve and donated firewood to her family. Gunther Strauss, our GM, visited a retired staff member and donated firewood to her family. Meat and cake was donated to the soup kitchen kitchen for the aged. 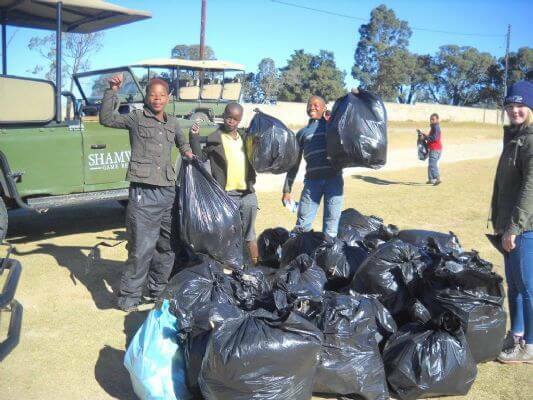 Over 100 bags of rubbish was collected by Shamwari staff & the local community. Cake & sweets from Shamwari – yum!